Every worker knows the benefit of having a reliable tool. It is what we would refer to as a real gem, to every technician. There are numerous tools on the market, but a good number of them are not what you would refer to as reliable. You see, a reliable tool contributes to efficient task completion. They are easy to use and demonstrate real workmanship. 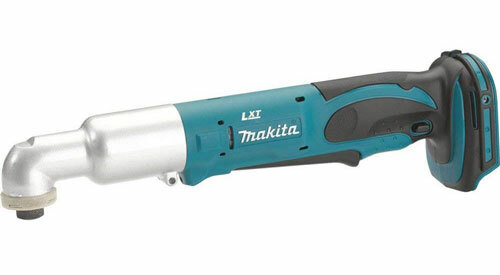 Makita Angle Impact Driver makes the cut as among the most reliable and easy to use. It makes those fastening and loosening tasks, a walk in the park. Let’s see what more this tool packs, and why it’s favourite of many folks. The cordless impact driver is among the much-acclaimed power tools intended to make your technical tasks as easy as they can be. But what you will love most about this tool is its compact and lightweight design. It packs sufficient power and is adequately small to reach the hard-to-reach spots. But compact does not always translate to lightweight and ease of use. Weighing at only 3.9lbs, and boasting sufficient torque, the impact driver may be the best thing to happen to your technical prowess. See, the more efficient you are at fastening and loosening, the less time you take to learn the skills you need to reach the next level. The perfect tool for the job is easy to use. But what does ‘easy to use’ mean in the context of tools? Well, in the majority of times, it means comfortable on the hands and efficient in use. The impact driver weighs only 3.9lbs, which isn’t much for most people. It is something that you can bear for a long time without having to put it down in the middle of the task. The impact driver has a slim design that ensures effortless maneuverability. It can reach tight spots easily, the same way you would with a typical small wrench. The impact mechanism uses the best quality steel, hardened for optimal fastening and loosening tasks. It has a rubberised grip for a better and secure grip, which reduces the instances of dropping the tool. A cordless power tool is portable and ideal for the outdoors. Makita angle impact driver is quite compact, and you can carry it to any job site you want and use it to accomplish various fastening tasks. With sufficient charge, the power tool has enough power to loosen various stubborn nuts and bolts. The machine charges quite fast and will not need to wait for long to use it. It means the impact driver spends less time charging but more time working. The impact driver has variable speeds reaching 2000 RPM, ideal for a variety of applications. The large paddle switch lets you change the speeds to accommodate the use you want. It has a soft grip which makes it quite comfortable to use. The rubber material on the hold absorbs any possible shock that may be as a result of using the power impact tool. You feel minimal effects. The ergonomic design allows easy access for the tool to the farthest spots, where other devices have a problem reaching. Everything about this tool underscores real artistry. It is quite comfortable to use with such timeless features as the ¼-inch hex chuck for quick bit changes and versatility. The device features an internal LED light to illuminate your work area and achieve efficiency. Any astute technician knows the benefit of efficient tightening and loosening of bolts. Tools come without batteries, and you have to purchase them separately. It may also not come with a charger, leaving you with the task of sourcing for one. 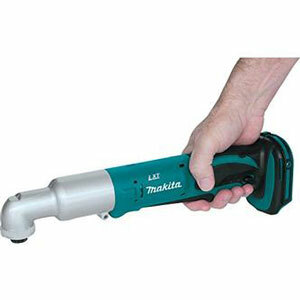 It helps significantly if you have other Makita tools like Ingersoll Rand. While battery-powered tools may demonstrate unique power, convenience and portability, they may need charging now and then, even in the middle of a task. The driver becomes useless in remote spaces, and you may need to find alternative ways of completing the job. It does not have torque adjustments which limit your options. Some bolts and nuts require more power than others to loosen. The tool only has standard power for standard loosening and tightening. It may not have sufficient power for the very stubborn fasteners. Makita angle impact driver is among the tools that every worker wishes they have in their toolbox. It is easy to use, portable and has sufficient power to handle standard fastening and loosening tasks. Other attractive features include a compact and lightweight design. It is, therefore, comfortable on the hands and using it is a real joy. You will complete most of the fastening tasks quickly and effortlessly so that you can go to something else.